Redcar Chapel (Trinity) – Booklet entitled “100 years of Service. 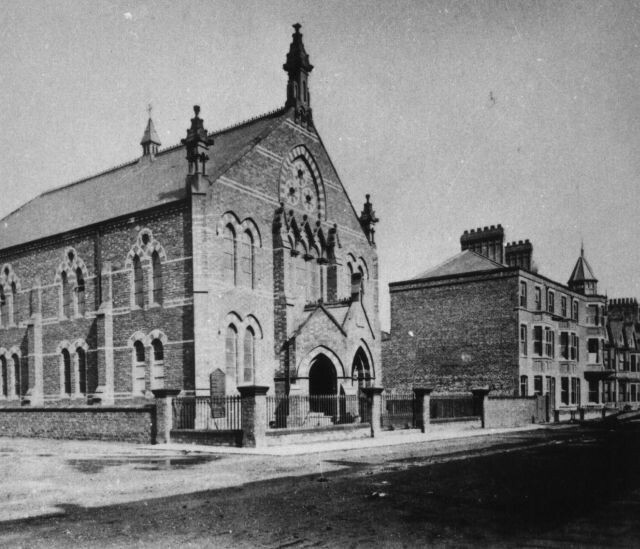 Trinity Methodist Church, 1869 – 1969. 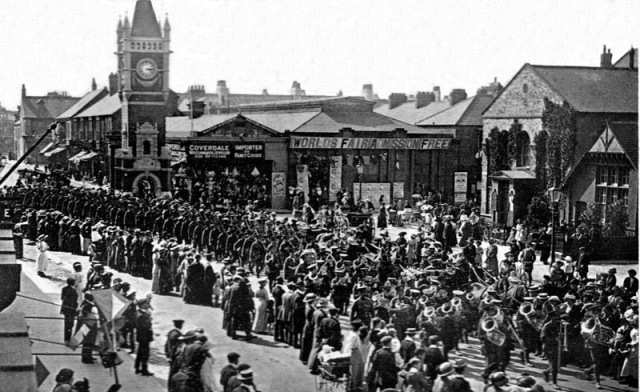 Update : Fred Brunskill comments that the earlier methodist chapel was from 1853 and on the High Street where Clinkards now is on the right of this photo. Walked past today and it looks like the building is being demolished, another sad loss. I managed to get a shot of the roof from the beacon. This Chapel was built in 1869 and extended with an Elementary School in 1876.